Professor Tony Rudd is a Stroke Consultant at St Thomas’ Hospital, London, the National Clinical Director for Stroke with NHS England, and the London Stroke Clinical Director. ​He is Professor of Stroke Medicine at King's College London and chairs the group at the Royal College of Physicians, London which has been responsible for developing the National Clinical Guidelines for Stroke and running the National Sentinel Stroke Audit programme over the last 22 years. He chaired the NICE Guidelines Group for Acute Stroke and TIA and the NICE Stroke Quality Standards Development Group. His research interests are stroke rehabilitation, organisation of care and quality improvement and he has over 300 peer reviewed publications. He is a past president of the British Association of Stroke Physicians and is Hon Vice President of the Stroke Association. He was made a CBE in the Queen's Birthday Honours list in 2013. Naomi Fulop is Professor of Health Care Organisation & Management at the Department for Applied Health Research, University College London. Naomi trained in social sciences at the Universities of Bristol and London, and in public health at Harvard on a Fulbright scholarship. She is an internationally renowned health services researcher with expertise using mixed methods to evaluate large- and smaller-scale complex interventions, including major system change. 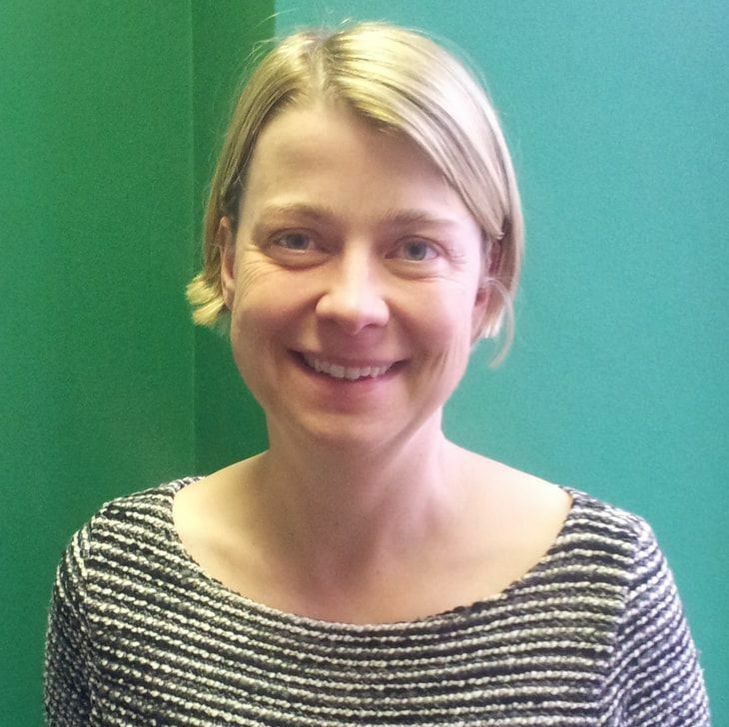 Naomi led the study of major system reconfiguration of acute stroke services in London and Greater Manchester, and currently leads an evaluation of the centralisation of specialist cancer surgery across London Cancer and Greater Manchester Cancer, both projects funded by NIHR. Naomi is the elected Chair of the Health Services Research UK, a national network bringing together those who produce and use health services research to improve policy and practice. Dr Charlotte Augst is Partnership Director of the Richmond Group of Charities. Charlotte has been leading the work of the Richmond Group since October 2013, developing strategy, facilitating discussions and representing the Group externally. Charlotte has held senior positions in health and research policy – in Parliament, for national regulators, and in the charitable sector. She has been a Trustee of Mosaic Clubhouse, a Brixton based mental health recovery charity, since 2015. She came to London in 1997, after completing a law degree in Germany, to pursue postgraduate studies at the University of London. She holds a PhD in law and medical ethics. She now lives in south London with her British husband and two children. David M Clark is the Professor of Experimental Psychology at the University of Oxford. ​He is well–known for his pioneering work in combining experimental psychopathology and clinical studies to develop new and effective psychological treatments for anxiety disorders. In recent years he has also focused on how to effectively disseminate treatments to the public and is one of the architects of the English Improving Access to Psychological Therapies (IAPT) Programme. He holds Lifetime Achievement/Distinguished Scientist Awards from British Psychological Society, American Psychological Association, American Association for Behavioural and Cognitive Therapies and the Society for Science in Clinical Psychology. Sarah Rickard currently manages the Greater Manchester Stroke Operational Delivery Network, which she established in 2015. Previously she spent her career in research, initially in the 1990s as a laboratory scientist investigating human genetics at Great Ormond Street Hospital in London, and subsequently in the NIHR Clinical Research Networks. Her expertise lies facilitating change through network approaches, and she gained an MSc in Health Services Management in 2016. She is a keen runner and ran her first marathon at the age of 45 in April this year. Shaun joined the NHS with a strong background in operational improvement from the engineering (Airbus) and consultancy sector (Cranfield University, PA Consulting). He joined Guy’s and St Thomas’ Foundation Trust in 2006 with responsibility for supporting the strategy and operational delivery of the Trusts’ transformation programme. For the past nine years, he has worked on London-wide transformations, firstly with Lord Ara Darzi’s Healthcare for London; leading on delivering improved major trauma services; developing new models of care for cancer and cardio-vascular services. He also led the development and implementation of new emergency care standards to improve outcomes for Londoners. In 2015, Shaun again supported Lord Darzi on the London Health Commission, the largest ever review of health in the capital. He is now working on behalf of London’s health and care system as Director of Healthy London Partnership (HLP), which has one aim: to support London to become the healthiest global city.